Change Auto Glass is your one-stop shop for All Auto Glass Repair and Replacement services. We provide same day affordable and reliable Mobile Glass Repair service. Change Auto Glass specialize in new windshield installation, windshield chip, crack fix, replace driver side or passenger side window, Back Glass Replacement, Door Glass Replacement, and Window Regulator. All Services come with lifetime warranty and with no additional cost for mobile service. Change Auto Glass offers same-day, factory-quality auto glass repair, and windshield replacement services for all makes and models of automobiles, trucks and commercial vehicles. Our goal is to make the inconvenience of broken auto glass or chipped windshields as minimal as possible. Change Auto Glass provide free Mobile Auto Glass services to all Bay Area cities, Orange County, and surrounding areas. A Mobile Auto Glass service is one of the easiest ways to replace the crack windshield, broken door glass or back glass. Customers can call for an appointment, a technician equipped with tools is sent to replace the glass in Garage or outside the house. Change Auto Glass realizes that our success is based entirely on results. This is why Change Auto Glass offers LIFETIME WARRANTY on all glass defects and craftsmanship. If for any reason customer is not satisfied with installation, simply call, and Change Auto Glass will work with the customer until fully satisfied. At Change Auto Glass we provide same day onsite glass repair services. Change Auto Glass is your one-stop shop for car window replacement services. Change Auto Glass only use quality products and provide superior customer service. contact us today if you are looking for auto glass quote. If you need car window replacement quote, you have come to right place. just fill the form by visiting Contact page or by visiting one of the links above. Change Auto Glass prices are competitive and also provide coupons if you meet criteria. Not only are our mobile installers at Change Auto Glass NGA certified, but they are also some of the friendliest and helpful individuals you will meet. Over the history of our business, we have come to understand that excellence in customer service is our number one priority. We understand that our business could not strive or survive without our loyal customer base. 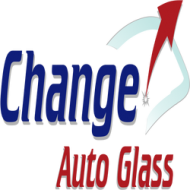 At Change Auto Glass, we realize that our success is based entirely on results. This is why we offer LIFETIME WARRANTY on all glass defects and craftsmanship. If for any reason you are not satisfied with your installation, simply give us a call, and we will work with you until you are fully satisfied. What is OEM? OEM stands for Original Equipment Manufacturer. An OEM windshield will be identical to the original, factory installed windshield that came with your car when it was brand new. These windshields may not necessarily be manufactured by the company who made the windshield originally installed on your car, but they are nearly identical in almost every way. This glass is manufactured according to your car maker’s very specific regulations and should match your original in size, shape, and color. The thickness and durability should be identical as well. It’s important to note that these windshields are also certified by the Department of Transportation, so you can be assured of their safety. Change Auto Glass is located in Fremont on Thornton Ave. close to my house. Drove by the shop and seemed to be a busy auto glass shop. My windshield had a chip but had i repaired the windshield my drive by session, i would have saved some dollars, but i waited and the chip on my windshield cracked. I visited the change Glass shop and got a quote and I decided to try their service. My windshield on Chev Suburban was replaced with in an hour. I was out on the road with a new windshield. Fast,professional, and great prices. I also tinted my windows the following day. Their tint pricing is the lowest i could find. I tinted my windows and so far looks excellent. Changed the whole image of my car looks by replacing a new windshield with clear vision and getting dark tint on my windows. Very satisfied with Changeautoglass.com service. Thanks Zee Karim. We are glad our years of experience is helping us provide excellent customers service and superior windshield repair and installation. REPLACE MY WINDSHIELD ON 2000 NISSAN SENTRA.